I’ve seen a lot of DIY blogs that suggest certain upgrades are easy to install when, in fact, they’re physically impossible or illegal, or just way too expensive. So, I wanted to compile some upgrades that will make your house (even more) awesome and are realistic for (most) homeowners. Not everyone may be able to install these upgrades, because we all have different home layouts and budgets, but most homeowners can do at least one of these. 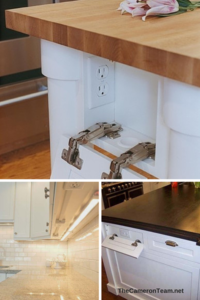 Hidden Kitchen Outlets. Too many outlets in the kitchen can be an eye sore. Save your beautiful backsplash, as well as provide some extra child proofing, by installing hidden kitchen outlets. Tuck them under your top cabinets or hide them in a covered recess in your kitchen island. Be sure you hire a licensed electrician for installation and follow state codes or you may end up with a fire hazard. Pop-Out Drying Racks. 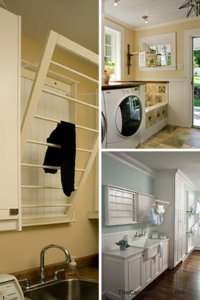 A place for drying delicate clothing or small loads can be very hand and potentially cost-effective. A pop-out drying rack will do just the trick and won’t take up much space. Just make sure you install it over a sink, or you’ll constantly be cleaning up water. Custom Cabinet Storage. 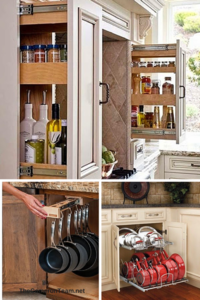 If you have some extra money to work with, your kitchen storage is definitely one area you should consider investing. I guarantee, you won’t regret it. Custom cabinets can optimize your storage space and make clean-up a breeze. Transitional Space Storage. 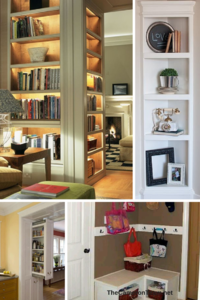 Don’t overlook the “odd” spots in your home when it comes to planning storage. Have two skinny walls that join? Put up some corner shelving! Have an extra-wide doorway? It may be physically possible to install slide-out storage or wrap-around shelving We always recommend checking with a general contractor before making any major changes to your home that involve cutting into walls. Have some space inside your back door? You could put in a mini “mud room” with coat hooks and cubby storage. Creative Hardware. The perfect piece of hardware can add functionality and beauty to your home. Are your currently stuck with a pedestal sink? 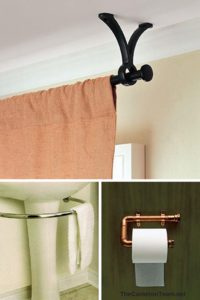 Use that open space for your towel rack. Want to add visual height to your living room? Think vertical, rather than horizontal when it comes to drapery brackets. Even repurposing pieces from other home improvement departments can add an interesting touch. Rain Collectors. 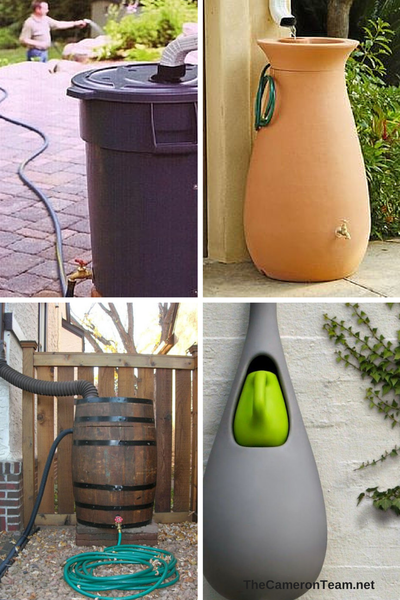 If you have a garden, a rain barrel or rain drain can be a great way to save you money on your water bill. Depending on your location, the size of your garden, and the amount of rain you get, you can find a system that fits your needs, including a wall unit that collects rain in a handheld watering can to a barrel with a connected hose spout. Upgrades to your home don’t always need to be expensive. Making it more functional is usually a better choice of investment than making it prettier with higher-end finishes. Sometimes those finishes will theoretically price your home’s market value right out of its community. For more creative ideas, check out our Pinterest boards!